Harnessing the Arctic's uncharted and other-worldly appeal Norway's landscape is on an epic scale; from the clusters of white-washed harbour towns nestling along the rocky south coast to the snow swept spine of mountains running down its centre, then consider the monumental fjords of the west coast which echo the country's glacial childhood. There is something hearty about this landscape. Maybe it is all the cold, fresh-aired magnificence, but many of the best places to stay in Norway are fantastic because they bring you somehow closer to it. If this beautiful land is not on your travel "to do" list then you may want to have a look at photos of the fjords and the Northern Lights and reconsider! Hemmed in by spectacular scenery Oslo has all the perks of a global capital: world-class museums, galleries and impressive architecture and design. Is has a cosmopolitan feel but with plenty of unique local cultural quirks. Plus the majority of the best places to stay in Norway! Bergen is Norway's second city, a grand old trading port which was once the capital city. Most people visiting the western fjords pass through Bergen where there are wonderful wooden buildings and lively nightlife. Bodø is the gateway to the Lofoten Islands - the small, bowler hat shaped green islands set just off the coast. These are the best places to stay in Norway for biking and sea kayakers. This is also where you'll find one of the world's most romantic beaches, windswept and interesting Vestvgoy. Tromsø is a beautiful coastal region fringed with fjords, glaciers, Arctic mountain scenery and a pristine whale watching setting. The ocean around Tromso is deep near the continental shelf and the churning waters there create a breeding ground for whale food and herrings. This draws Humpbacks, Minke, Orcas and Fin Whales. Trondheim is an ideal gateway into Norway and all its delights. Located roughly in the middle of the Nordic country there are easy and reasonably priced train links both to the remote lands of the Arctic Circle and the stunning fjords in the South. Heggenes is one of the main towns in the spectacular Øystre Slidre region of Oppland. The wonderful natural beauty of the Jotunheimen National Park is a short distance away. In Winter you can ski - cross-country and downhill - or snowshoe, ride a husky sled or go ice fishing to your heart’s content. Norddal covers an area with many distinct valleys and villages. The spectacular Norwegian County Road 63 traverses this municipality from south to north going through several tunnels in the mountains. This is an area of majestic fjiords and mountains. Ålesund is an old sea port situated on a peninsula which was well known for its fishing fleet. In 1904 almost all of the town was destroyed by fire. Rebuilt in the Art Nouveau style the town is perfect for visitors who enjoy this architectural style as well as the outdoor sports available. Join a whale-spotting safari, spend a night in a remote lighthouse, meet polar bears and reindeer in Svalbard, relax under all night summer sunshine on the flat rocks at Kristiansand and drink and make merry like a Viking - there are many ways to experience Norway. Great swathes of Norway's unpopulated interior have been turned into national parks and the epic and varied landscape has inspired adventure sports-folk on to new creative heights. There are plenty of unusual outdoor pursuits you can try against backdrops ranging from natural rock formations that resemble fortresses, to dense woodland, to flat scree further north and some of Europe's largest ice fields and highest waterfalls. As well as the obvious hiking, biking, snow-shoeing, cross country skiing and white water rafting, there is also dog sledding and snowmobiling. Norway is all about getting closer to nature. If you're in Bergen then take the funicular up Mount Floyen and marvel at the breathtaking views over the city. If you are here for natural beauty then the stunning Geiranger Fjord is another top spot to visit. It is a UNESCO World Heritage Site with truly spectacular scenery. Wander around the Vigeland Museum, a park full of sculptures showing the famous Norwegian artist Gustav Vigeland's lifework. The Fram Polar Ship Museum is wonderfully impressive - showcasing a large number of exhibitions and ships detailing the story of Norwegian polar expeditions. If you fancy a fun family day out then head off to Dyreparken, home to over 150 different species of animals as well as a waterpark. The kids will love it! With so much to see and do the best places to stay in Norway are always popular so do plan ahead and book early. The Thief's name comes from its location on Thief Island whuich is 15 minutes from the centre of Oslo. This is a design hotel at its best with original art by Andy Warhol, Anthony Gormley and Julian Opie. It has dramatic public spaces and waterfront views. 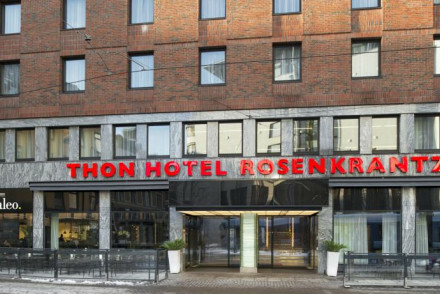 The Grand Hotel, on Oslo's grandest street, Karl Johans Gate, has all the traits you expect to find in a hotel of this name. Exquisitely elegant rooms and suites and luxurious public spaces make this hotel a real treat. Central but quietly located in a residential area just 10minutes from the Royal Palace by tram, Hotel Gabelshus is simple and stylish. Grims Genka boasts large and contemporary loft suites in the centre of town. Come back after a day out sightseeing to relax on the rooftop terrace whilst enjoying a drink from the bar. Expertly mixing classical style with contemporary features, Hotel Continental boasts chic accommodation with all the necessary mod cons as well as a restaurant. A top base from which to get to know Oslo. Thon Hotel Rosenkrantz provides smart and colourful boutique rooms. There is also a lovely guest lounge in which to kick back and relax. Ideally situated to see all that the city has to offer. Set in an impressive 1920s stone building, Havnekontoret features stylish interiors with the odd splash of colour here and there. Explore all over the city before coming back to tuck into a complimentary evening buffet focussing on Nordic cuisine. 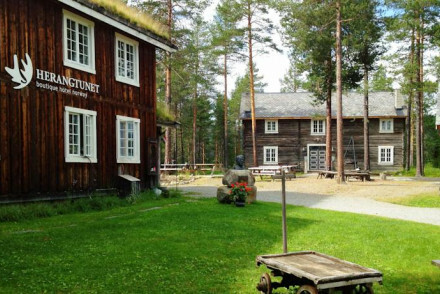 Located in a gorgeous natural park, Herangtunet is a lovely 9 room hideaway set in a traditional lodge. With luxurious country and city themed accommodation as well as a cosy sitting room with a log fire it's a splendid retreat. If you fancy something different then check out Juvet Landscape Hotel. Boasting modern minimalist individual pods with floor to ceiling glass windows with views of the Valldal Valley, there is also a lovely indoor/outdoor spa. A truly dreamy escape! Storfjord enjoys a rural setting in the Glomoset hills with easy access to the Sunnmøre Alps. You'll love their accommodation with log walls, fireplaces and designer furnishings. There is gourmet dining and plenty of activities to get stuck into. If you want warm weather then visit during the summer months - the average temperature rises to 18°C in July. However, this is peak season so expect accommodation to be more expensive and for there to be plenty of tourists around. For a quieter time but still the weather to enjoy the great outdoors then May or September are best with the temperature averaging around 12°C. Try to avoid visiting in January and February as these are the darkest and coldest months. International guests can fly into Oslo Airport, Sandefjord Airport, Stavanger Airport, Berger Airport and Trondheim Airport. Browse through our list of all the best places to stay in Norway. 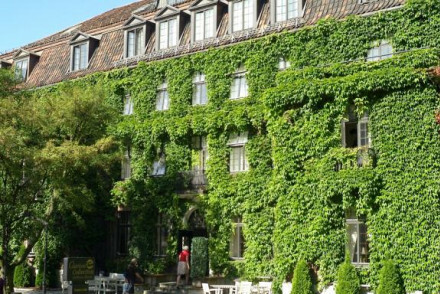 Widen the net and include our list of the best places to stay in Sweden. 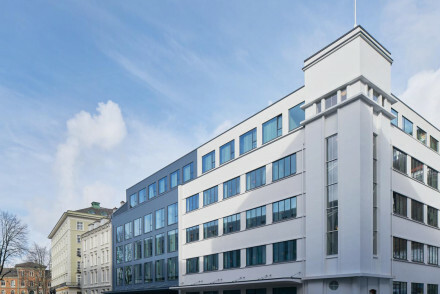 Smart and stylish, Hotel Zander K offers comfortable rooms in the centre of Bergen. A great spot for business meetings with excellent conference facilities and a lively bar and restaurant. Sights nearby - Visit the nearby sights of Fløibanen and Kløverhuset. Local markets - Ten minutes walk from the lively Fishmarket Torget. This sleek, modern hotel is in the heart of Bergen's stunning Bryggen district. 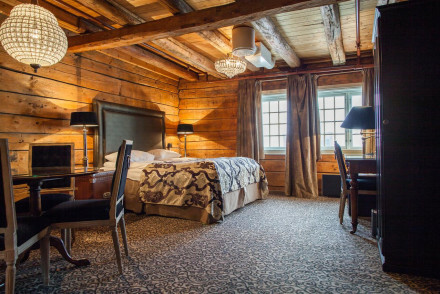 Featuring plush rooms, an atmospheric bar and a good restaurant, Det Hanseatiske Hotel is a great base from which to see the sights and lights of Bergen. Sights nearby - Visit the nearby sights of the Hanseatic Assembly Rooms and Torgallmenningen. Great walks - Go for a walk through the UNESCO World Heritage Bryggen district. Local markets - Two minutes walk from the fascinating Fishmarket Torget. 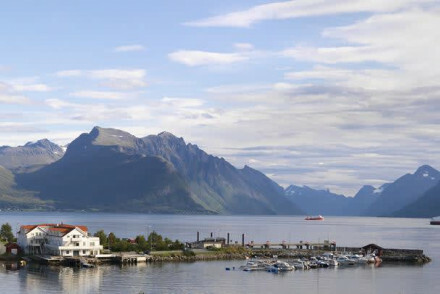 An elegant hotel boasting a spectacular position set between the fjords and the sea. Light and airy rooms are all white on white with large windows framing the incredible views. With hiking and fishing the order of the day this is an outdoor lovers dream. Active Holiday - Surrounded by the fjords and located on the coast there's endless opportunities to enjoy outdoor pursuits. Fishing - A fisherman's paradise with numerous types of fishing on offer. A luxury hotel set in secluded Glomoset hills overlooking the Storfjord. Handcrafted log walls, roaring fire places and comfortable designer furniture. Plenty of activites for everyone - including kayaking and watersports from the hotel. Gourmet fine dining and local produce. Kayaking - Paddle to the idyllic Glomset cove and out in Storfjorden. 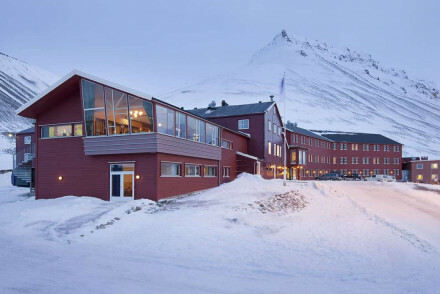 A chic hotel offering a fantastic location in the heart of Longyearbyen. Rooms are contemporary, yet cosy, with warm hues, indulgent bathrooms and expansive floor to ceiling windows. Featuring an exemplary restaurant and a fire lit bar. Spend days in search of whales and the Northern Lights. Back to Nature - Surrounded by unspoilt wilderness, an outdoor enthusiasts dream. 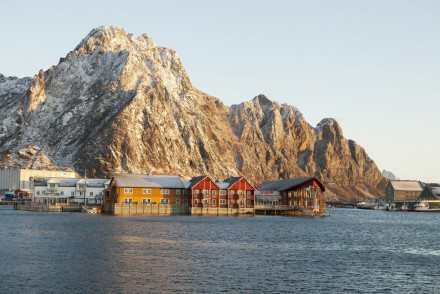 Charming hotel on the isle of Lofoten, offering cushy, contemporary rooms with either mountain or sea views. Guests can hire a bike and explore the island, where killer-whale safaris and scuba diving are some of the many opportunities on offer. Business meetings - Featuring 146 rooms and 2 meeting rooms that can hold up to 100 people. Active Holiday - Spot killer whales, go scuba diving and search for the Northern Lights. Sailing - Rent a boat and go spotting killer whales. Diving - Go diving in the Lofoten Islands. Europe's first ever 'landscape' hotel lets the incredible beauty of its surroundings envelope it. 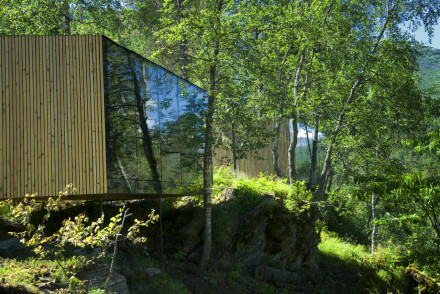 Its individual pods are minimalist and afford phenomenal views out over the Valldal valley. Make sure to experience the indoor-outdoor spa. Quite simply mesmerising. Fishing - Fjord fishing in the summer. 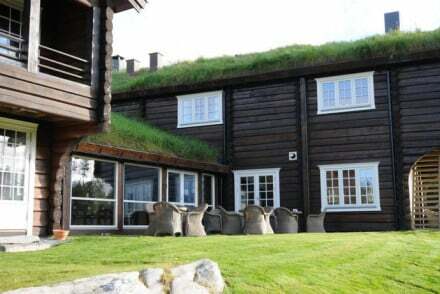 A small, luxury Norwegian hotel in a stunning natural park. Surrounded by woods and water, this traditional lodge has cosy country & city themed bedrooms, and sitting room with log fire and comfy sofas. Big banqueting tables and lots of atmosphere. A great spot to explore the beautiful countryside.